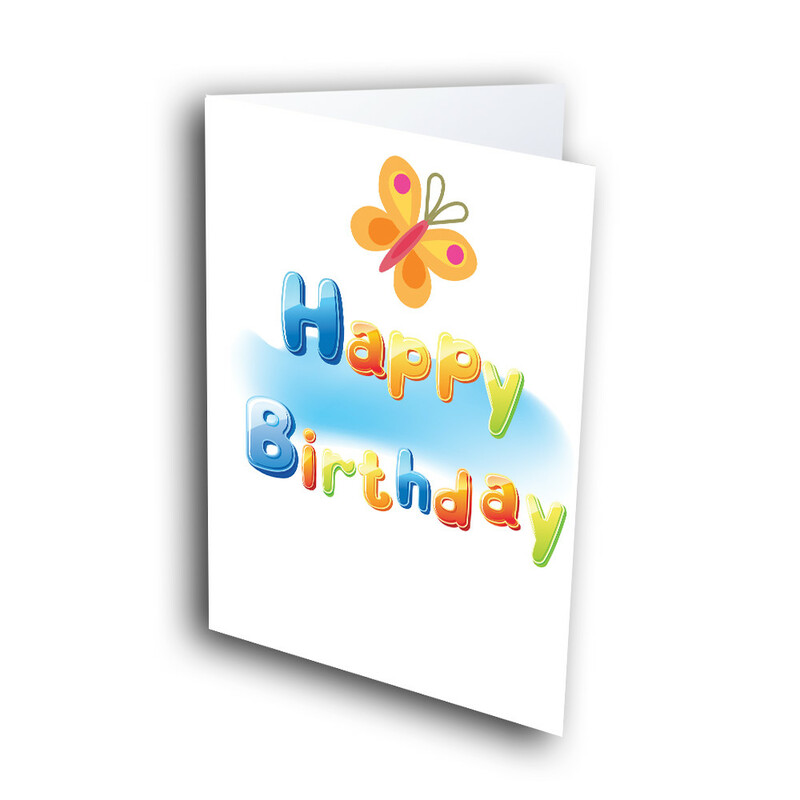 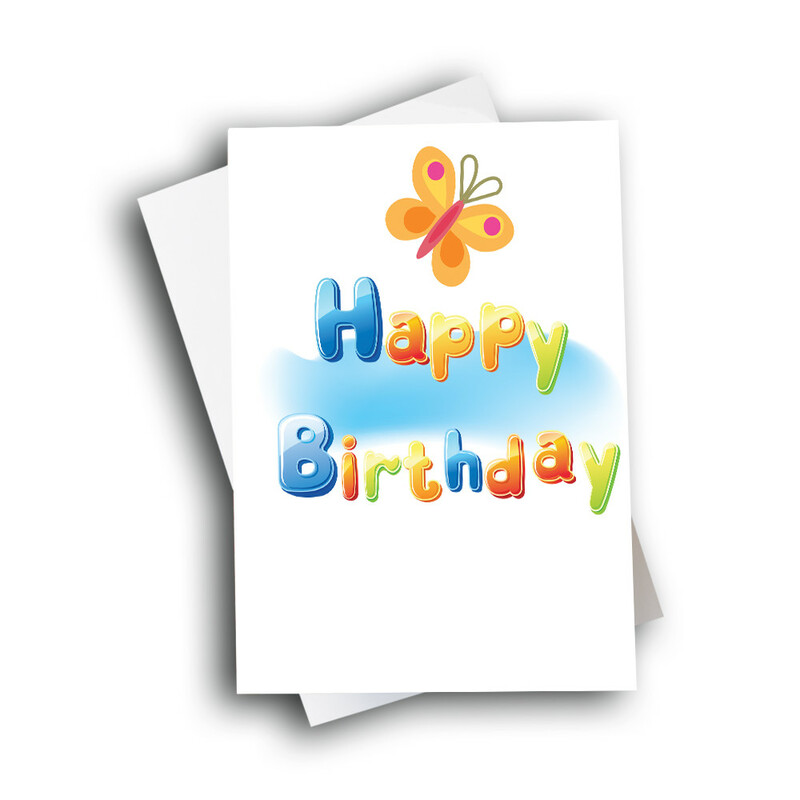 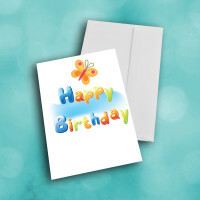 A sweet and simple birthday card to bring some joy to the birthday boy or girl. For the younger ones in your life, this birthday greeting card is sure to make them smile. 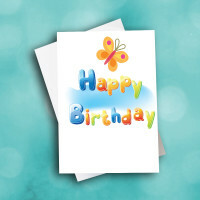 The bubby, colorfully lettered greeting stands out against the white background, imposed in front of a splash of blue. 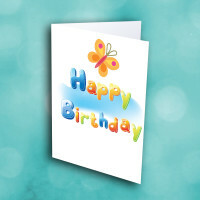 The cute butterfly flying above the greeting completes the innocent charm of this card. 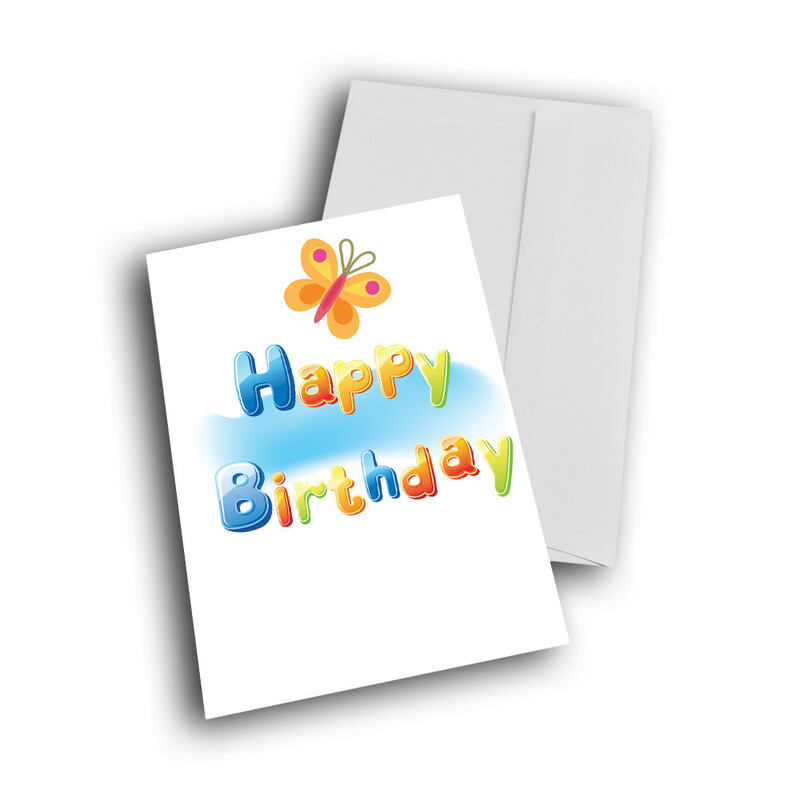 Add a custom message inside to give the card a personal touch.